An all new graphic novel based on the highly popular Cartoon Network show Steven Universe has been announced for the summer. Featuring characters from the show in an original storyline, Steven Universe: Anti Gravity hopes to add to the ever expanding horizons of the show. Steven Universe is currently airing episodes for its fourth season throughout this month, as well as continuing to produce an ongoing comic to supplement the show. This new graphic novel is to be developed by a different team of people, written by Talya Perper with art by Queenie Chan. 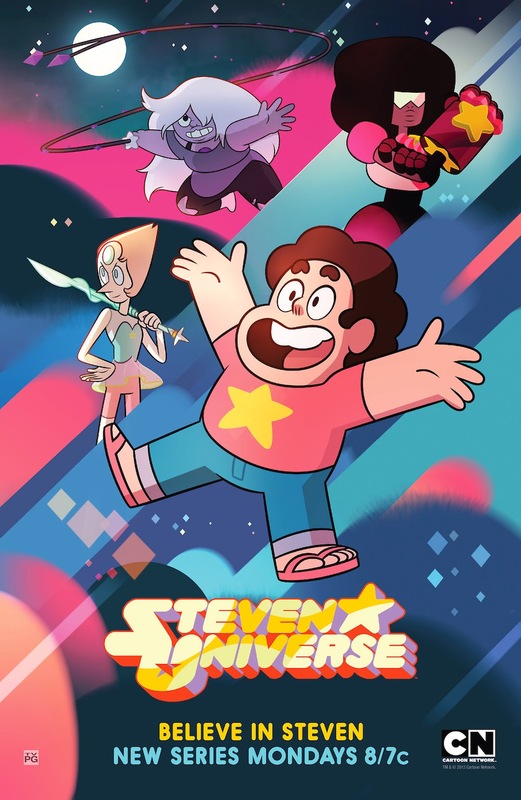 The widely praised Cartoon Network series, described by Wired magazine as “one of the stealthiest, smartest, and most beautiful things on the air,” centers around the coming of age story of a boy named Steven Universe, who lives in the fictional setting of Beach City with the three ‘Crystal Gems’, Pearl, Garnet, and Amethyst, who are magical humanoid aliens. Steven, a half-Gem himself, works with his friends to protect the world from their own kind. This new graphic novel, said to fit somewhere between Seasons 3 and 4 as a sort of ‘filler episode,’ features Steven and the Crystal Gems having to investigate the cause of objects beginning to unexplainably hover throughout the town. With Steven Universe being created in 2013 by Rebecca Sugar, it was the first Cartoon Network show to be solely created by a woman. This graphic novel hopes to continue the progressive work of the show, commended for it’s complex presentation of lead female characters as well as demonstrating a variety of LGBTQ relationships over the course of its four seasons. Steven Universe: Anti Gravity will be available from July 25th.